Spartyka Fight League was established in September 2010 with the purpose of becoming the top promoter of amateur mixed martial arts events in Virginia. They attract the area’s best amateur MMA talent by organizing high-quality MMA events in Hampton Roads. Through organized, professionally hosted competition, these athletes can practice their art before adoring fans who appreciate, admire and respect their physical fitness and competitive mindset. 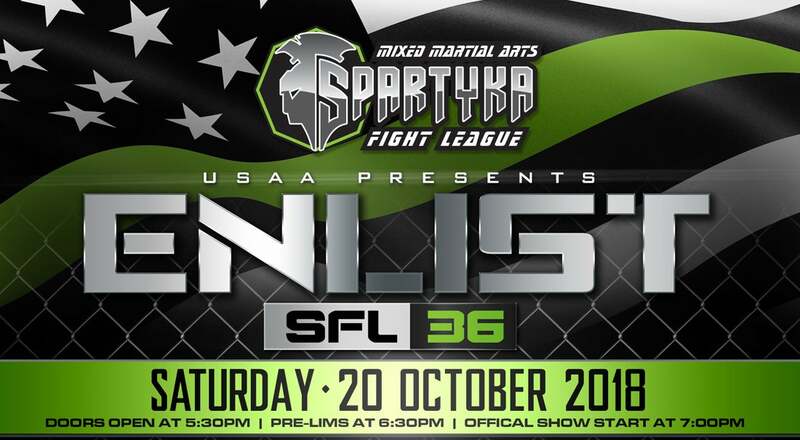 Spartyka Fight League SFL36, Saturday, October 20, 2018.